​Roster moves are frequent in professional Counter-Strike. After every Valve-sponsored Major tournament, a multitude of teams make changes in hopes of improving the next time around. Potential moves are reported, and finalized moves are announced by team organizations. But what about the roster moves that didn’t happen? For every shocking change, there's an equally intriguing move that almost happened but fell short for one reason or another. This series will take a look at some of the most interesting roster swaps that never came to be. Some will be public knowledge, but we'll try to dig deeper and talk to the people involved to figure out what didn't happen and who ended up being better off. Enjoy! Spencer “Hiko” Martin and Tyler “Skadoodle” Latham were the two most prestigious North American free agents in January 2015. Hiko had replaced Joshua “Steel” Nissan on the iBuyPower lineup and was helping them lock down a new organization. Only a few weeks later, though, every player from the old iBuyPower lineup outside of Skadoodle was banned indefinitely by Valve for match-fixing. Thus, Hiko and Skadoodle were left teamless. A number of options presented themselves, but one particular option is unknown by many and nearly happened. Mikail "Maikelele" Bill was kicked from Ninjas in Pyjamas that March with hardly any explanation after a run of good form. He would then immediately join a full Norwegian LGB Esports lineup. Håvard "rain" Nygaard and Maikelele discussed the desire to play with Belgian superstar Adil "ScreaM" Benrlitom, who had been teamless since the early part of the year. Who better than the North American superstars to round out this new lineup? Maikelele got in contact with Hiko and Skadoodle and discussed the possibility of them moving to Europe to play with them. Initially, everyone agreed and a plan was set in motion, according to sources with knowledge of the discussions. Then, just a couple weeks later, the plan fell apart and the team would instead add Ricardo “fox” Pacheco and Alexander "SKYTTEN" Carlsson (and later Dennis “dennis” Edman) under the Kinguin organization. It’s difficult to gauge how well the presumed lineup would have performed. At the time, none of these players was considered among the best in the world. Many were outcasts from their previous respective lineups for one reason or another. That said, they all have unique characteristics, and it’s possible they would have been capable of some impressive runs against top competition -- just like Kinguin’s semifinal run at DreamHack Cluj-Napoca 2015. It can be argued that Skadoodle would have been a significant upgrade on the AWP over fox, bringing them to an even higher level. One downfall would have been a lack of leadership, which Skadoodle has been known to struggle with. Hiko would go on to bounce around for a few more months before joining Team Liquid and later helping North America reach a Major Final for the first time in CS:GO history. 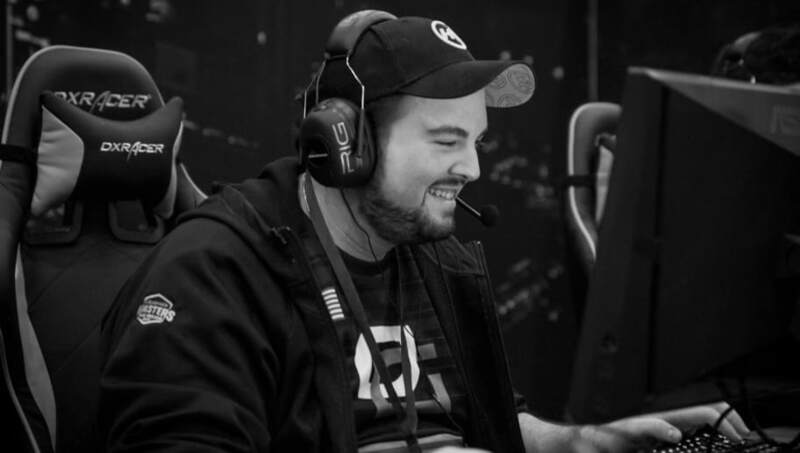 Since leaving Liquid, Hiko spent some time on various lineups, including a brief stint on OpTic Gaming, and now plays for Rogue. Had this crazy roster move move transpired, Skadoodle might not have ever joined Cloud9. It’s tough to imagine a world without him, especially after their amazing run to win North America’s first CS:GO Major in Boston earlier this year. It’s quite possible he would have joined at a later date anyway, with the lack of committed and talented AWPers in the region. Either way it’s a tantalizing mind exercise and came closer than many realized to happening.